This will be the fourth time in the last 5 years that I have had the joy and privilege to compile a list of the most promising contemporary Bangladeshi artists. 6 years ago I would have never believed that I would get the opportunity to present the most promising local acts but now we really seem to have passed the first and largest hurdle. What a time to reflect on the future of Dhaka’s electronic music scene! This year’s list is the strongest ever, period. The artists come from all walks of sounds but the unifying element is that they are serious about putting Bangladesh on the music map. There is no denying that many of the previous artists featured got lost due to a variety of frustrations but they are all responsible for the strength of the current landscape. The best thing about this year’s feature are the new names that we have, many of whom are still in their early 20s. This list is not a ranking, artists are presented in random order. FutureHood aka Anika is an intriguing artist who’s carving a solid path for herself. In the previous list, she was a last-minute entry but is now one of the names on everyone’s lips. A producer with a sound that may remind you of Trentemøller at times. He clearly aims to push boundaries while making music that is simple, enjoyable and easy for listening. Humayan Islam has been invested in his craft for a while with his patience finally bearing fruit. Islam recently moved to Bangalore to study visual arts; a creative talent who is both confident, fresh and has a clear vision for future creative pursuits. A core member of Kaaktalio, Humayan is yet to release any music officially but you should check out his first unofficial EP ‘Null’. NULL by Humayan Islam, Madman’s Vault and Space/Ghost. Farooque Bhai, the brains behind the self-titled music project describes himself as “slightly outspoken, slightly erratic and often politically incorrect.” This franticness is apparent in his sound – experimenting with a multitude of influences which he is able to present in a single palette. As the name implies, Minimal Animal makes stripped-down techno. The sounds are characteristically the bare minimum, consistently exploiting the use of repetition. At a personal level, his influences are an interesting mix of rural folk and Baul music. I find his music incorporates a near-perfect balance between globalisation and traditionalism. He is planning to get started with live performances soon. 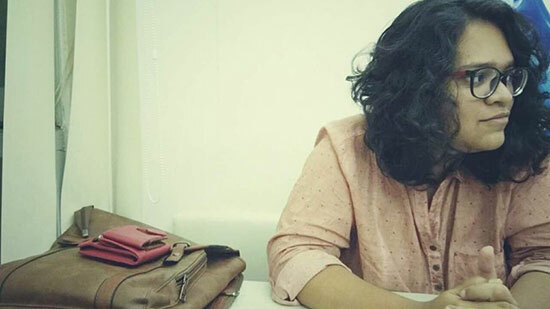 Apeiruss has been a typhoon-like presence in the Bangladesh electronica scene. Releasing hit after hit with prominent singers like Bangladeshi stars Tashan and Amid; they have definitely found a sound that makes the crowds happy. Samee, Shafi, and Andy are the trio that forms the backbone of the group and they don’t seem to have any plans to slow down. Another young artist who has the potential to become a techno genius is on full drive with his volume of raw and original techno mixes. The 20-year-old producer, who just started performing live this year, has something special about him. Samin, a vocalist, comedian and potential dancer, runs a popular Facebook page which went viral following a vaping video. He has been a regularly featured artist for producers like Bedheadz, Kadin and MESSUP. A British/Bangladeshi producer currently residing in Dhaka, a few of his tracks will rightfully remind listeners of where he came from. ‘Echolalia’ from his 2013 EP ‘Necessary Fiction’ (which is slated for re-release this year) is essential listening. This track also features the talented Sohini Alam from the band ‘Khiyo’ on vocals making it an almost unheard classic that needs to get back to people’s sound systems and make people feel good.